Harrison off ramp reopens Monday and that is good news for people headed to the Financial District. California Department of Transportation officials said today that they will close the San Francisco-Oakland Bay Bridge over Labor Day weekend as part of their ongoing effort to make the span safer during earthquakes. 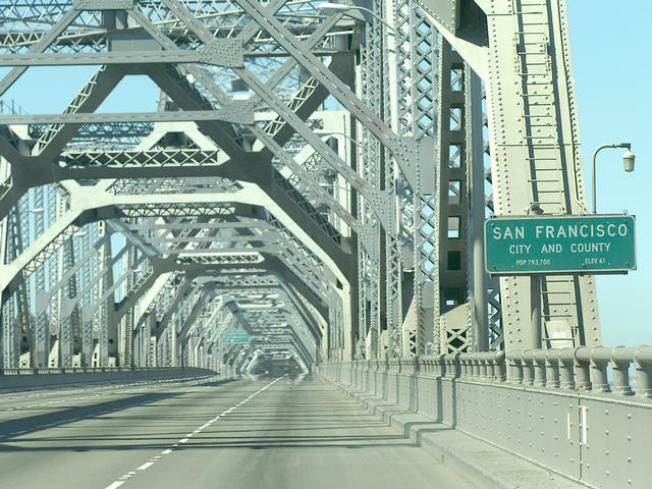 California Department of Transportation spokesman Bart Ney said that during the three-day closure workers will replace a section of the Bay Bridge east of the Yerba Buena Island tunnel to connect the bridge to a temporary detour. Caltrans also closed the bridge during Labor Day weekend in 2006 and 2007 to do work on the span. Ney said Caltrans likes to take advantage of light traffic on the bridge on Labor Day weekends in order to complete complex phases of work while minimizing disruptions to motorists, residents and businesses. He said the Bay Bridge accommodates 280,000 vehicles daily and is one of the three busiest bridges in the nation. While the bridge is closed, a double-deck bridge section the size of two stacked football fields and weighing thousands of tons will be cut and slid away, and a new double-deck section will slip into place, Ney said. The work will be done on a scaffold system 150 feet in the air, he said. When the work is completed, traffic will flow on a half-mile long replica of the bridge connecting the East Span to the Yerba Buena Island Tunnel, according to Ney. He said that will allow crews to demolish a portion of the original bridge, and build a new, permanent connector from the tunnel to the new East Span. Ney said Caltrans will coordinate with transit agencies to minimize the effect of the closure on statewide and regional travel.